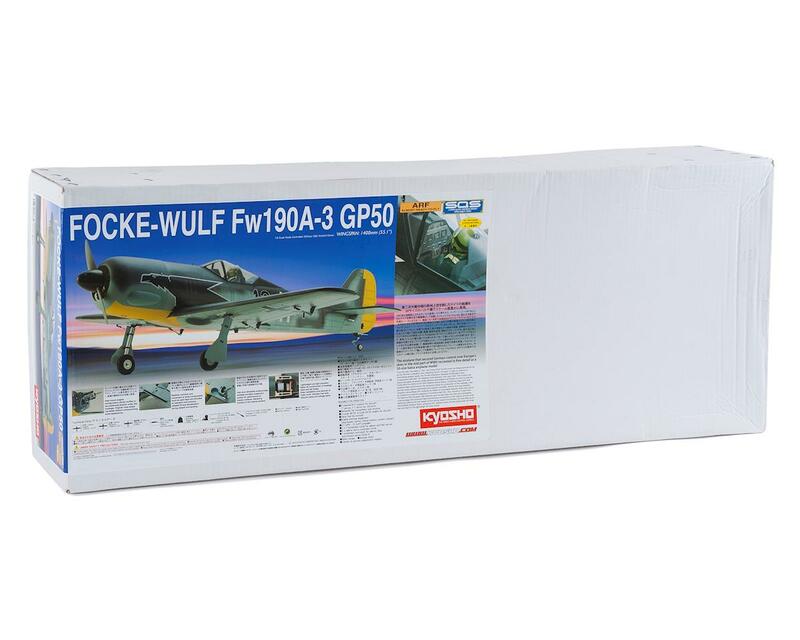 The Kyosho Focke Wolf FW190A GP50 ARF Electric Airplane combines scale form with excellent flight performance. 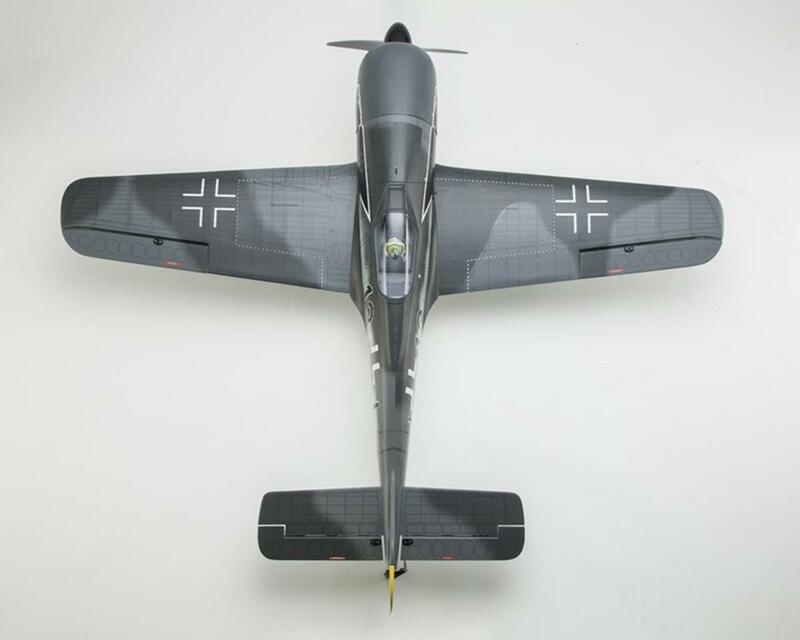 This is an ideal step up for intermediate airplane flyers, and advanced pilots will also appreciate the scale feel and flight characteristics of this lightweight 50-class model. Advanced balsa rib construction of the fuselage, main and tail wings creates a lightweight air frame with superior durability. Wrinkle and sag-resistant Toughlon camouflage print covering recreates an exquisitely beautiful finish that cannot be matched by layered wrapping of monochromatic film. 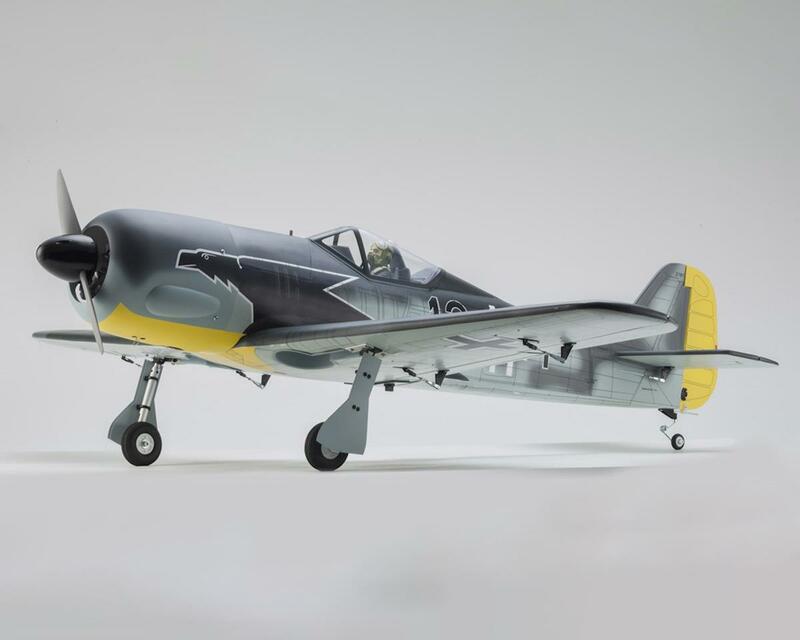 Also, Kyosho’s Focke-Wulf Fw190A3 is fully equipped with features such as split flaps and oleo strut retractable undercarriage that produces flight performance reminiscent of the original aircraft while delivering effective lift and speed control during takeoff and landing. 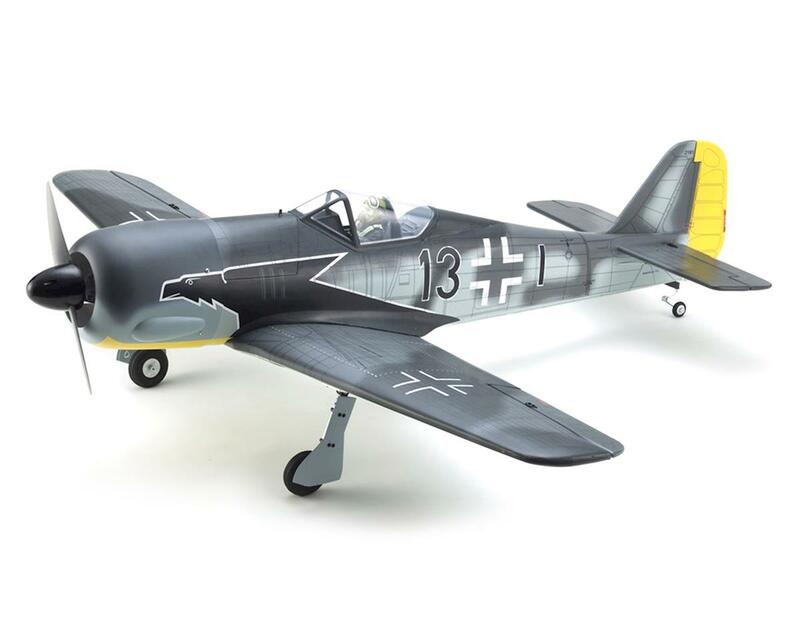 From its entry into battle in 1941, the Focke-Wulf Fw190 joined the Messerschmitt Bf109 as the German Luftwaffe’s main attacking force in Europe. 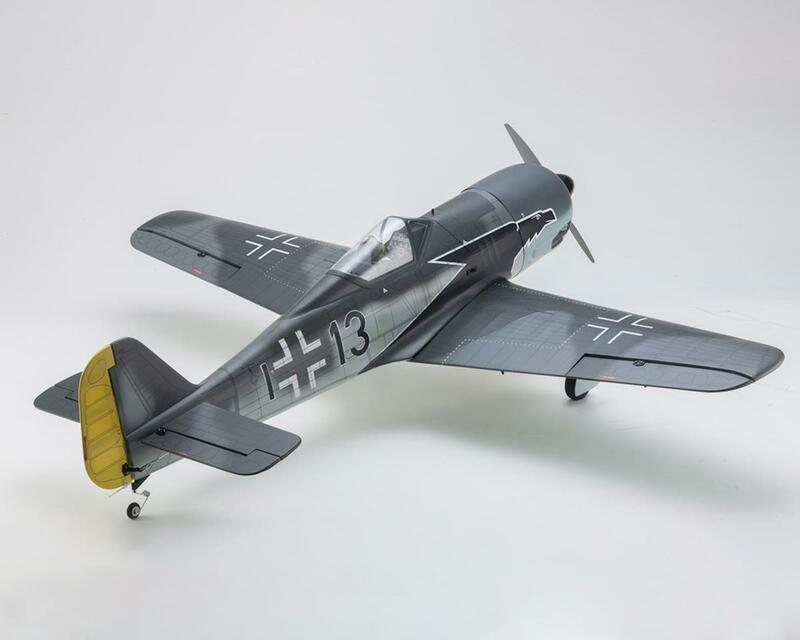 In order to respond to diversifying tactical needs, the Fw190 underwent repeated modifications and re-equipment with 509 “A3” airplanes built between 1941 and 1943. 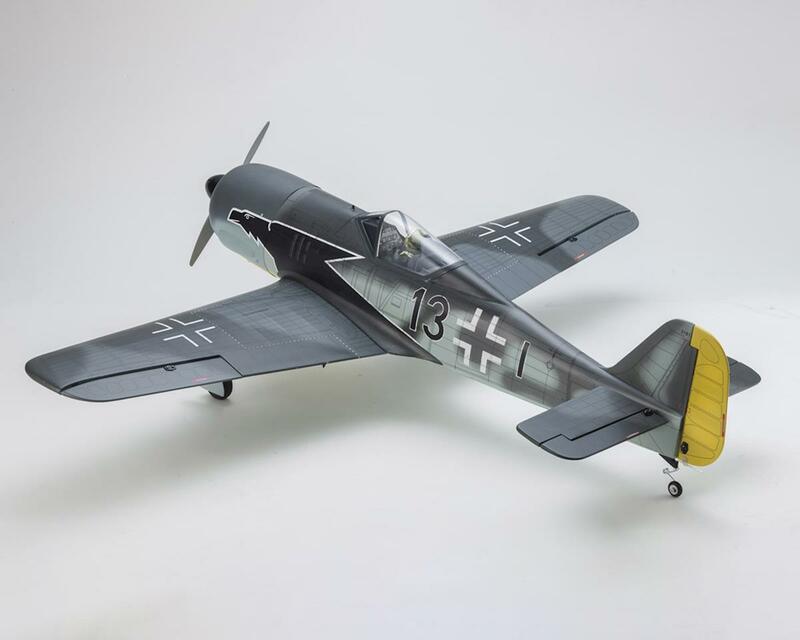 This version still enjoys popularity among model airplane enthusiasts and Kyosho is proud to add the Focke-Wulf Fw190A3 to the SQS Warbird Series lineup. This radio control model is not a toy! Safe flying is not possible without correct assembly, proper maintenance and careful selection of flying location. Safe operation of this model is your responsibility, so please take necessary precautions to avoid any property damage or personal injury. Beginner flyers should never fly alone. 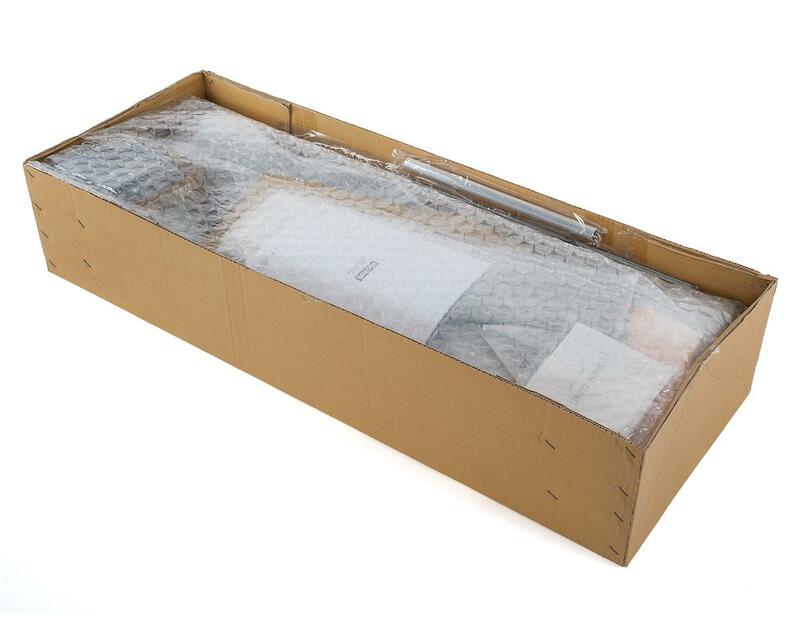 ARF kit featuring rigid, lightweight balsa rib constructed fuselage, main and tail wings. Handy 50-class engine size delivers realistic scale feel. Includes retractable landing gear undercarriage incorporating coil spring suspension as standard. Equipped with split flaps that are especially effective during takeoff and landing. Sag-resistant Toughlon covering features exquisite camouflage color print finish. Pre-installed pilot figure and stereo lithographic instrument panel. Includes fuel tank, silicone tubes, special scale spinner and linkage parts set. Tons of FUN!! !...You must come and see. Everything you need is here for your hobby!